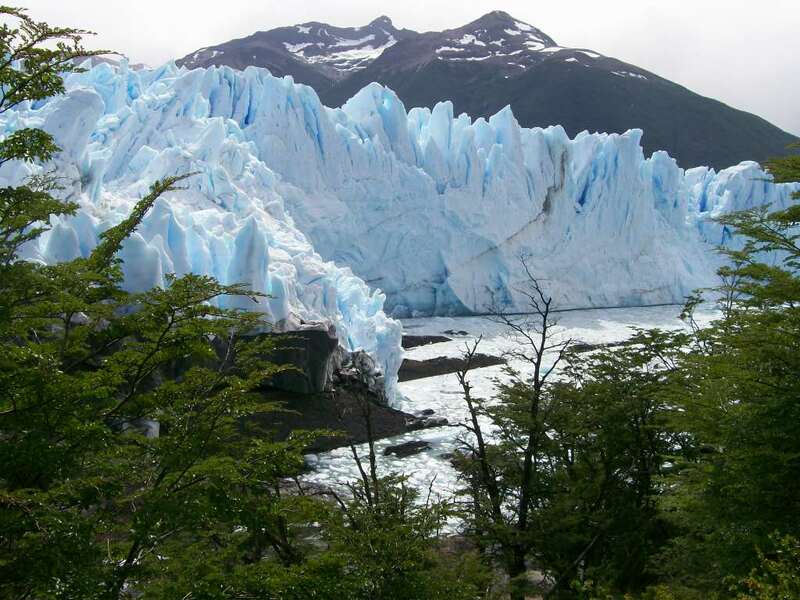 The National Park The Glaciers, in the province of Santa Cruz, Argentina, includes/understands a surface of 7,240 km². 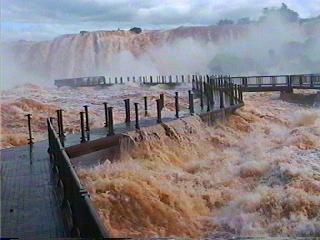 It was created in 1937, is the second greater Park, in Argentina. Its toponymy talks about its glaciers (giant of the world outside the Antártida). 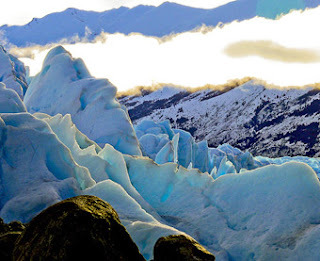 Of 47 great Andean glaciers, 13 end at the Atlantic Ocean. In other regions of the world, the glaciers are, like minimum, to an altitude of 2,500 msnm, but due to his gigantic sizes, it is them to 1,500 ms, sliding until the 200 msnm. Their limits by the west at any moment follow the dividing line international Chilean-Argentinean between the parallels 49º 15´ and 50º 50´Sur (from the Hill Fitz Roy to the Stokes Hill) including part of the Continental Ice and all the glaciers that of them descend towards the Eastern side. In this National Park one is located the Argentine Lake, in whose arms are the glaciers. 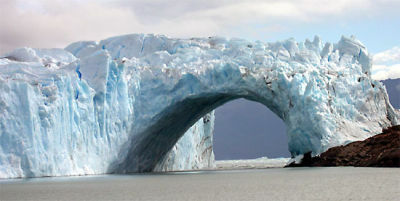 The most known it is the Brown Skillful glacier. 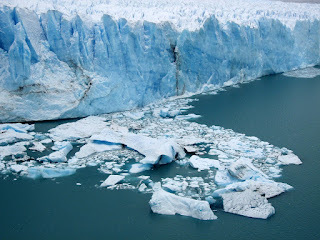 In addition, are others like the Spegazzini glacier, Upsala glacier, the Onelli glacier, etc. In his fauna they stand out the cóndor, puma, huemul. the guanaco, choique, the Creole culpeo and wild bulls. The main units of their flora are trees of the sort Nothofagus like lenga, ñire, coihue; and coniferous like lahuán, being important the presence of a shrub of flavorful fruits called calafate, the Eastern sector of the Park corresponds to the steppe in where they predominate the neneo, coirón, llareta and the rockrose. This national park was declared Patrimony of the Humanity by UNESCO in 1981. Part of the wall of 100 ms of the Spegazzini glacier falling Part of the wall of 100 ms of the Spegazzini glacier falling By the collective recognition of the Community of Nations expressed in articles of the convention of the World-wide Patrimony the NATIONAL PARK the GLACIERS has been new recruit in the list of WORLD-WIDE the NATURAL PATRIMONY. These glaciers, generated for centuries and still millenia in the crests of mountains, have been testimony surplus of enormous identical masses that dominated part of the planet during last the two million years and that were present at the fantastic episode of the birth of the humanity. That the man knows to preserve this site still more and, to preserve itself to itself so that the future generations can contemplate this property left at death one of the age of the ice. 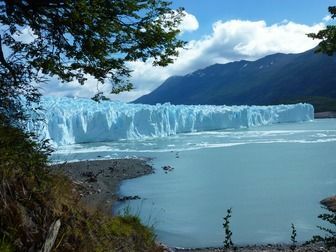 Argentinean Patagonia is wind swept scrub, with huge rock towers and glaciers that fall majestically into the huge lakes that drain the winter snows. Today, there have been 23 visitors (142 hits) on this page!